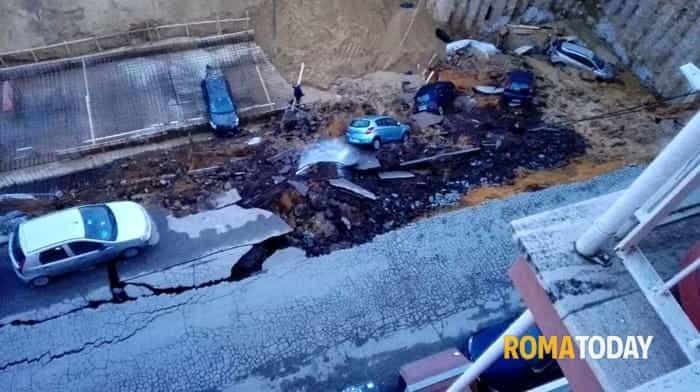 Crazy pictures have emerged following the collapse of a road in northwestern Rome, creating a sinkhole which has swallowed up eight cars at around 6pm this evening on February 14, 2018. 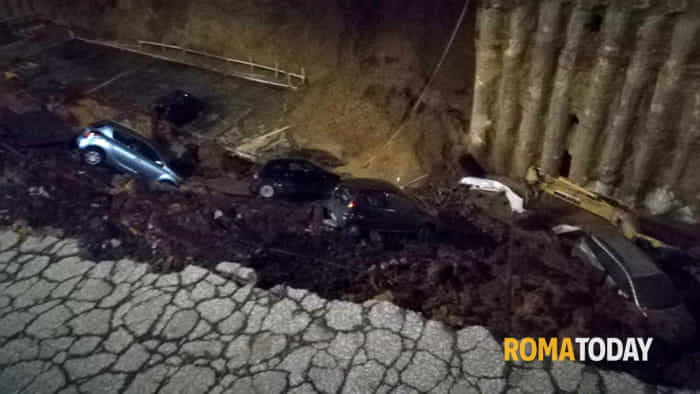 The cars swallowed by the huge crater fell about 10 meters down below after the road collapsed. Two nearby buildings were evacuated as a precaution and firefighters have since confirmed no one was injured in the incident. 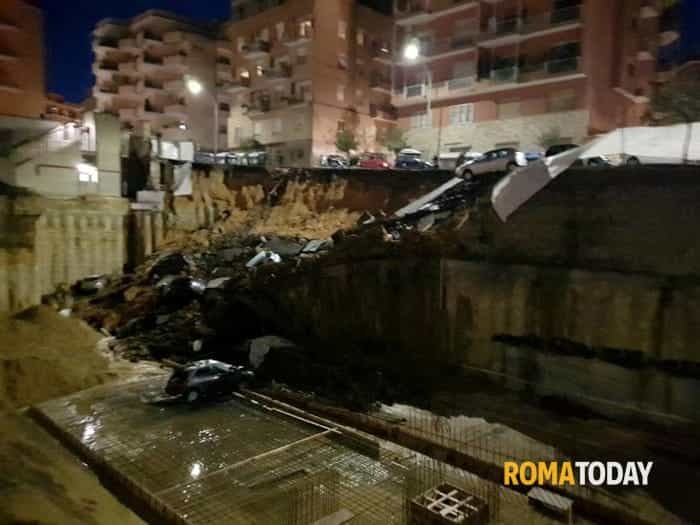 Ka boom and everything went underground in Rome. Imagine the noise that this event has made. 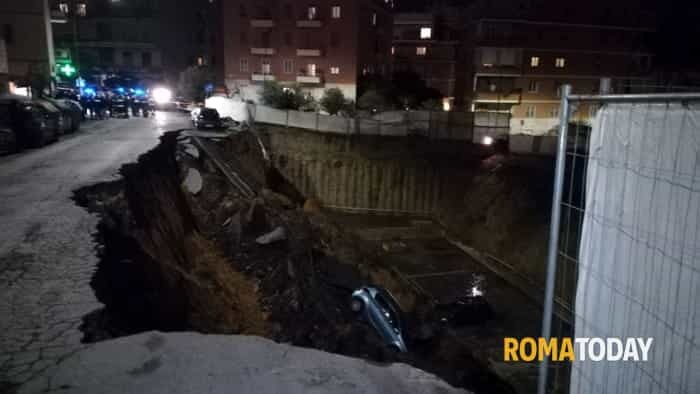 This sinkhole in Rome is terrifying. 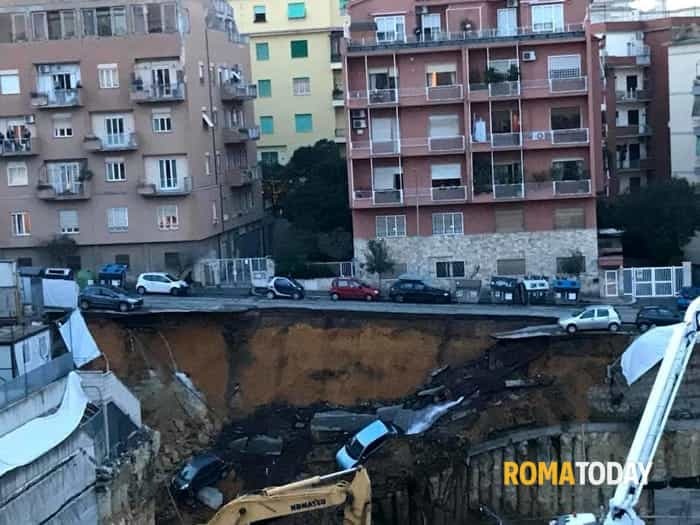 8 cars have been swallowed up in Rome on February 14, 2018. 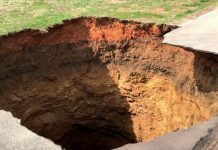 The crater is at least 10 meters deep. 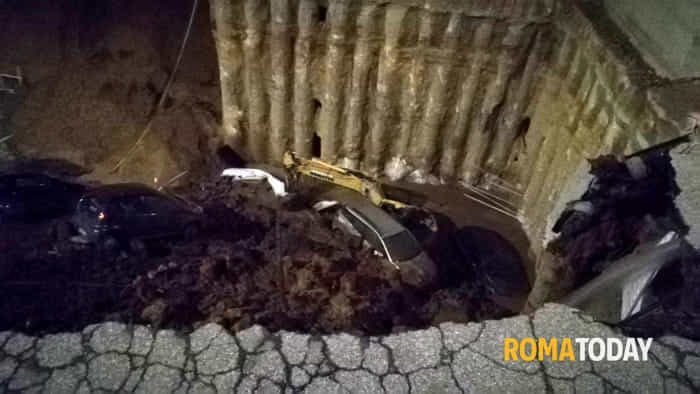 Officials are checking other nearby buildings for structural damage. 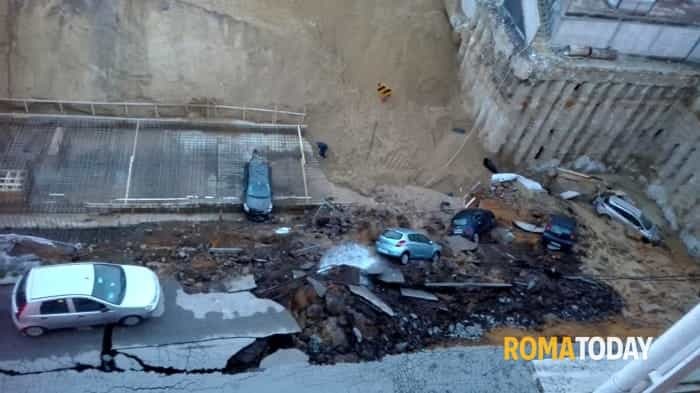 The stretch of road which collapsed was next to a construction site and investigators are working to determine the cause of the incident. 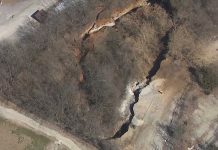 We can see the reptilian secret underground structure on these images. 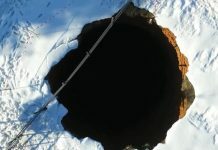 This sinkhole opened because their secret underground base was collapsed. This underground base structure looks really old. It might have been created by ancient reptilian aliens who were worshipped as cannibalistic gods. The gods who love sacrificed lamb ( lamb = human children) in the Bible are cannibalistic reptilian aliens.